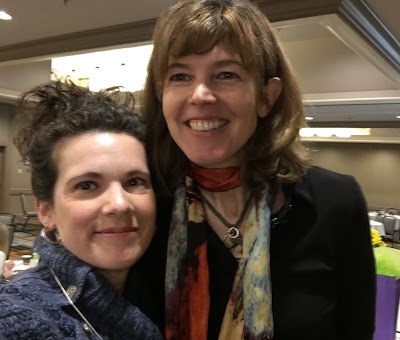 I had the great pleasure of hearing Dr. Nathalie Sinclair (@geometry4yl) speak at the recent ETFO Kindergarten Conference in Toronto on April 14, 2018. Her engaging presentation involved discussing how educators can create opportunities for children to explore geometry in integrated and playful ways. As many of you know early years mathematics is an absolute passion of mine. 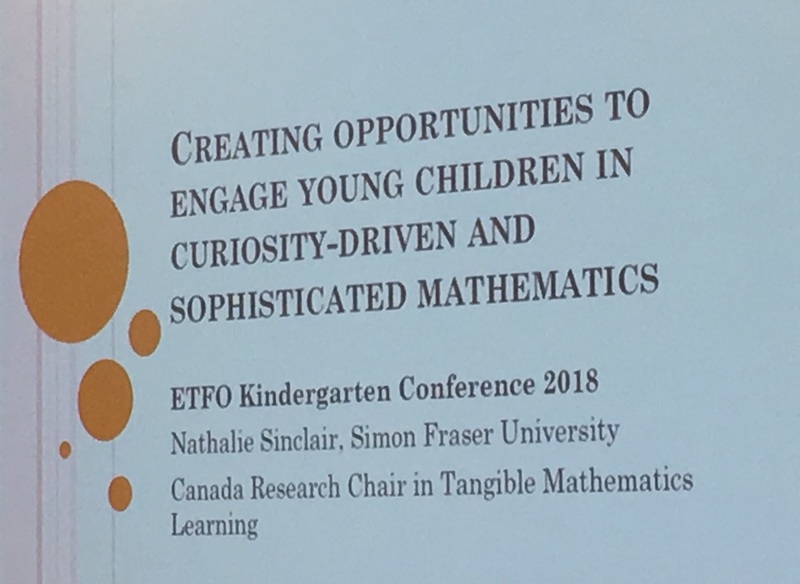 Exploring what role math has in an emergent program, and what attuned educators can do to introduce and support children's evolving understandings, drives my everyday pursuits in the classroom. I tend to look at everything we do through a mathematical lens and am always interested in learning how we can delve even more deeply into our classroom understandings and interactions regarding math. It is for these reasons that I found Dr. Sinclair's presentation so fascinating. 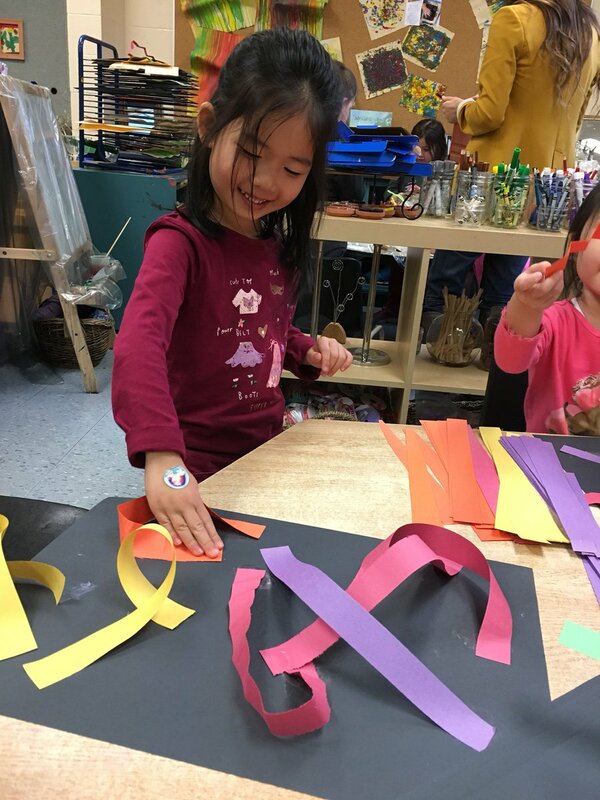 In her work Dr. Sinclair discusses how math relates naturally to play - both encourage children to step outside of reality, create order and beauty in the immediate world, are bound within time and space, and are governed by a set of rules. Dr. Sinclair reminds us that play is not aimless or spontaneous but a highly constructed reality that guides children in layered roles and representations. 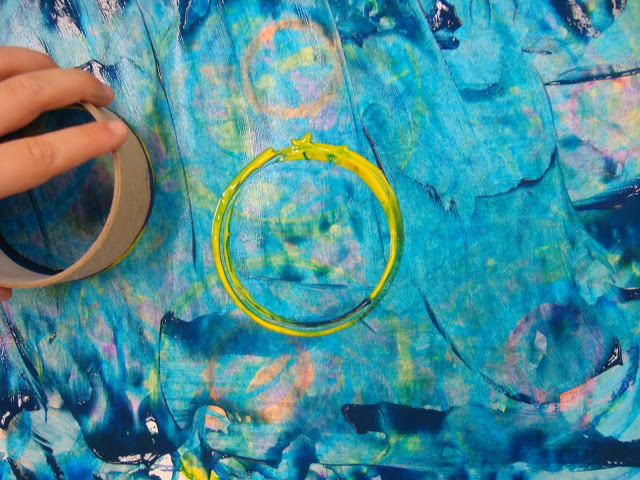 It is rehearsal for reality where children can experiment with different situations, problem-solve within the parameters of the play, and then try out different solutions to the problems within a supportive and safe learning environment. Something that I found particularly interesting in the presentation was Dr. Sinclair's discussion of shape learning in early years classrooms. She shared that often children identify with only the 'prototypical representation' of a shape and assume all other shapes by that name look the same. Consider the typical representation of a triangle on many of the pre-made, purchased learning materials teachers might use in the classroom. 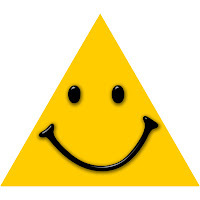 Many look this this little guy - a smiling, upwards standing equilateral triangle. Over time many children assume that this is what all triangles look like, and when faced with variations aren't sure what shape to classify them as. 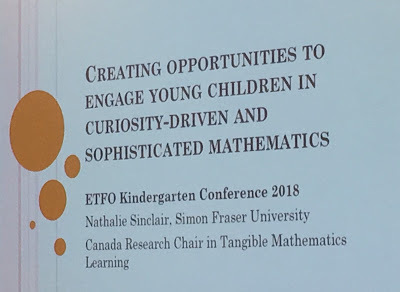 Dr. Sinclair invited the audience to reflect upon what geometric models we were using in our practice and consider a number of alternative activities to help children play with shapes in order to better understand their interesting properties and build understanding when variance occurs. When I returned to my classroom I decided to conduct a small experiment in order to determine my students' thoughts regarding triangles. I created a survey using our morning 'sign in' that asked children to sign their name under the shapes they felt were triangles. Even though three of the four were triangles, most children chose only the typical equilateral triangle. 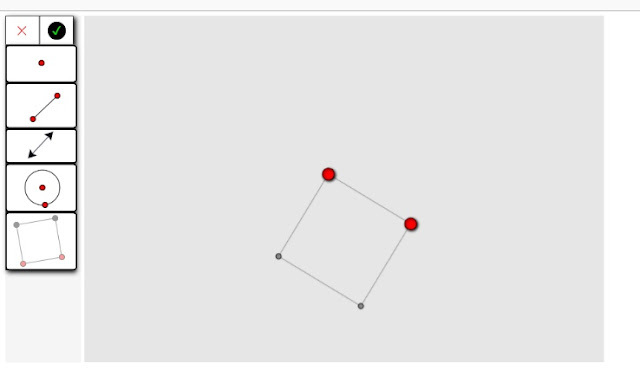 I also noticed that the children assumed only one shape could be a triangle, so when they decided on the equilateral, they stopped examining the other shapes. They assumed that there was only one right answer. I brought the survey to our whole group morning meeting time where we were able to explore the question together. I invited the children to share why they chose their shape and explain their thinking. 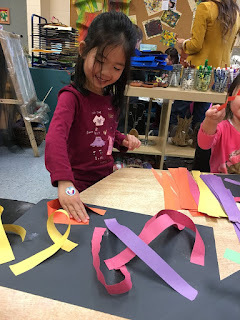 Most children stated that the felt their triangle of choice was the right one because it had "three sides", "three corners", "straight sides", and "looked like a triangle". 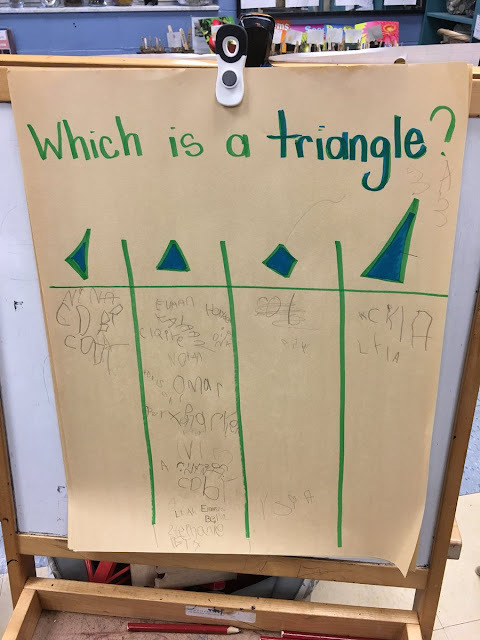 When we explored each of the shapes on the survey most children appeared surprised that there were also two other triangles that fulfilled their criteria. To extend on this thinking I decided to use a read aloud to help us explore shapes further. 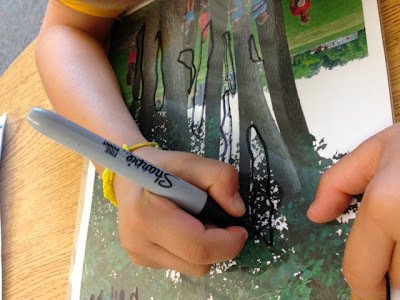 Linking literacy to math is a great way to make abstract ideas more tangible to children while hooking them emotionally within a story. 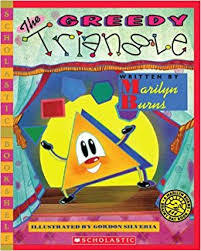 In Marilyn Burns' 'The Greedy Triangle" children are introduced to a triangle who continues to change its shape after meeting with a shapeshifter until it is no longer a triangle but a circle. It was interesting to note the children's observations of the shapes in the story, especially the triangle, as Burns portrays many variations and they were quick to notice that these differed from the ones depicted on our initial sign in survey. To compliment the text I then invited the children to play a shape sorting game with me. 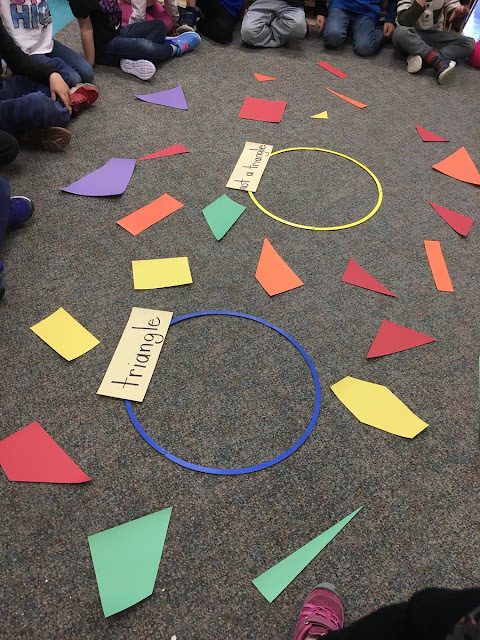 Using various shapes cut from construction paper, the children had to sort each based on whether or not they felt it was a triangle. 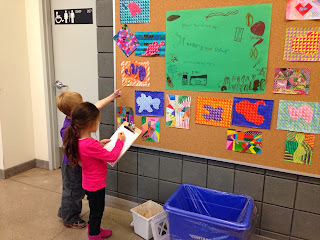 It was interesting to listen to their descriptions of the shapes as they determined which grouping to place them within. At the conclusion of the activity we had a large collection of different triangles and the children determined that was made a triangle was a shape with "three sides and three corners" regardless of size. 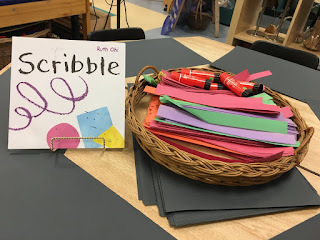 Using read alouds to inspire shape art - books like Perfect Square and Scribble can be read to children and then added to the art centre with various materials and tools to inspire creative exploration and manipulation of shape. 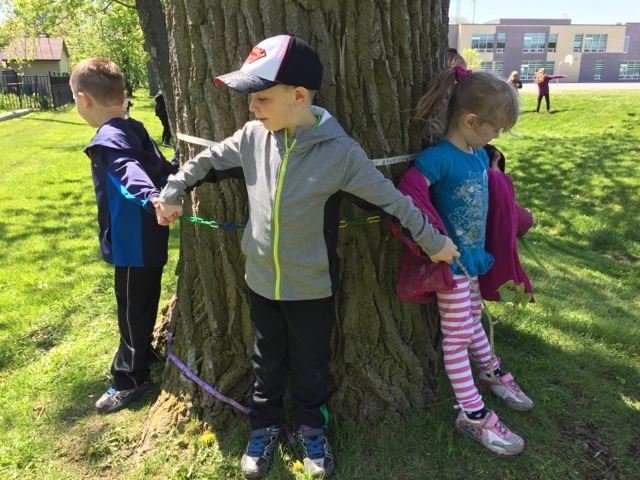 Creating shapes kinesthetically - children can use their bodies to create different shapes, especially in the outdoor classroom or gym! 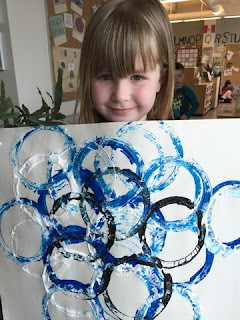 Print making with found shapes - children can be invited to search the classroom for various shapes and use these to create prints with paint. 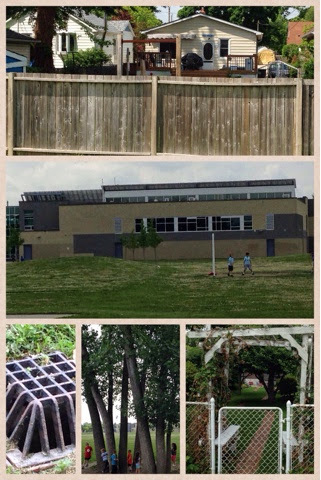 Locating shapes in the school and beyond - children can go on a shape hunt, record what they find on a tally chart or take photos with the class iPad, and then print out the photos and outline what they see on the print itself. 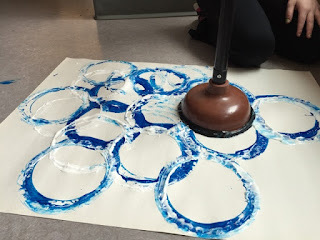 What other shape activities and games have you tried with children? Leave your ideas in the comments section below!